Tours of the sugarbush and operation of the sugar shack. We’ll be having samples of different grades of syrup and all maple products will be available for purchase. 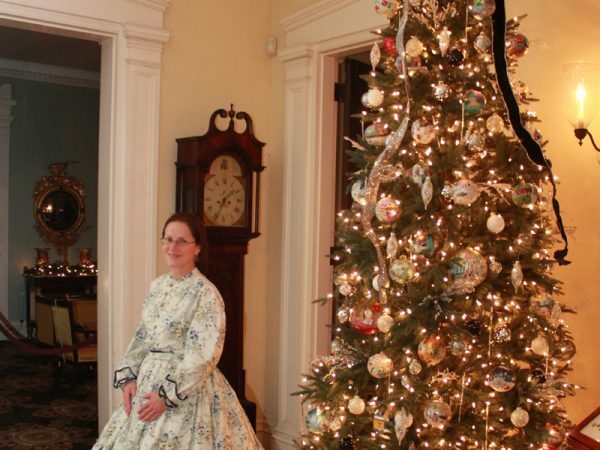 Experience the mansion by candlelight with costumed docents highlighting 19th-century holiday traditions. Victorian carolers add to the festive atmosphere while you enjoy wassail and holiday snacks in the conservatory. Come join us to celebrate the holiday with activities for the entire family! New York City’s Favorite Holiday Tradition is Back! Enchanting model trains zip through a display of more than 175 New York landmarks, each re-created with bark, leaves, and other natural materials—all under the twinkling glow of the Enid A. Haupt Conservatory. Marvel at G-scale locomotives humming past familiar sights such as the Brooklyn Bridge and Rockefeller Center on nearly a half-mile of track. This year’s exhibition showcases Lower Manhattan—the birthplace of New York City—featuring the Statue of Liberty, Ellis Island, and iconic skyscrapers sharing the spotlight among old and new favorites. Making their debut this year are One World Trade Center and the historic Battery Maritime Building along with two vintage ferry boats. The New York Botanical Garden is generally open for daytime All-Garden Pass access to the Holiday Train Show® from 10 a.m. to 6 p.m., Tuesday to Sunday. Bar Car Nights: 7–10:30 p.m.
*Ticket prices are subject to change depending on season and current exhibition. Every day, kids can hop aboard our play train and pretend to ride the rails! Hike winter trails and find evergreen trees and shrubs. Warm up in the Discovery Center while learning more about amazing evergreen plants. Make a festive evergreen swag bundle to brighten up your home. Saturdays & Sundays; 10 a.m.–5:30 p.m.
Fiesta Tropical with the Bilingual Birdies Band, Sunday, December 16; 11 a.m.
Students are invited to submit original poems (written individually or with student collaborators) inspired by the magic of winter and the holiday season. Join NYBG for its annual bird count and explore the Garden’s 250 acres on Saturday, December 15, 2018 at 11 am. Get in the holiday spirit with seasonal music, both familiar and new, plus contemporary alternative music sung by top a cappella groups from all over the Tri-State area. Daily, December 24–January 1, 2019; 1, 2, & 3 p.m.
Meet at the Reflecting Pool for a fascinating overview of the Garden’s history and its importance as a vital NYC cultural destination since 1891. Sundays, November 18, 2018–January 20, 2019, 2:30 p.m.
Meet at the Reflecting Pool and embark on an invigorating 45-minute walk to view the Garden’s stately conifer collection and old growth forest in the beauty of winter. Saturdays, November 17, 2018–January 21, 2019 at 12:30 p.m.